Post-election fears keep growing in the Bay Area, especially when it comes to immigration. 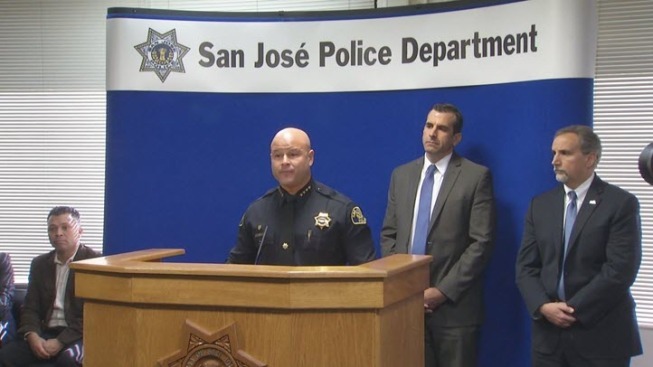 On Friday, the San Jose Police Department did something almost unprecedented by holding a news conference to remind immigrants have nothing to fear in their city. "Let me be clear, the San Jose Police Department does not and will not ask victims or witnesses about their immigration status," Police Chief Eddie Garcia said. Garcia said he does not remember the last time his police force held a big news conference just to reiterate department policy. But the chief said since the presidential election, he has received an earful from community leaders. "The Mexican community is really scared about what's going to happen with immigration measures," Mexican Consul General Mauricio Toussaint said. Arturo Alfaro said his countrymen are very worried and Mexican immigrants are not the only ones concerned. "Some people in the Muslim and Iranian community have come to meet with me, and asked if the city is creating a list for deportations," City Councilman Johnny Khamis said. "It does not exist. It will not exist." City leaders hope immigrants get the message that San Jose is not in the business of enforcing immigration laws. San Jose is not an official sanctuary city and there are no plans in the works to make it one. Garcia said Friday's conference was not about politics, but about protecting some in the city who are living in fear.